The Midwest and the Appalachian regions of the United States have been struggling with the prescription drug epidemic and heroin scourge. While overdose deaths are a common problem, health officials report that the rise in infectious disease transmission in some of the country’s most rural areas is unprecedented. Many of the areas affected most are ill equipped to dealing with the growing problem, The Wall Street Journal reports. The Centers for Disease Control and Prevention (CDC) found that between 2006 and 2012, Hepatitis C infections increased by 364 percent in: Kentucky, Virginia, West Virginia and Tennessee. In the last five years, the rate of infection in Ohio has increased by 50 percent, according to the article. The spike in disease transmission underscores the need for greater access to clean needles. “The cost of this epidemic is spectacular,” said University of Cincinnati doctor, Judith Feinberg. In many of the areas most affected, needle exchanges are not available, despite the recommendation of such services by the World Health Organization (WHO), the American Medical Association (AMA), and the White House Office of National Drug Control Policy. Sadly, federal funding for needle exchange programs is banned, even though research suggests that such programs not only prevent the spread of disease but provide an avenue for drug counselors to talk to addicts about recovery. 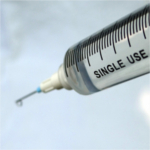 IV drug users who do not have access to needle exchange programs are 3.35 times more likely to contract HIV. In Indiana, Governor Mike Pence declared a public health emergency as a result of an HIV outbreak linked to IV Opana ® use. In response, the governor authorized cities and counties to open needle exchanges wherever a state of emergency has been declared, the article reports.